Our team is committed to excellence. We strive to provide the most appropriate and professional care, in an honest and educational manner, for all patients. We are dedicated to providing personalized care and service to make each visit as comfortable and pleasant as possible. Dr. Brad Pohl is here to assist you with your professional dental care. 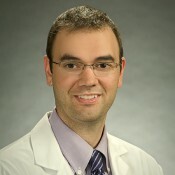 Dr. Pohl received his undergraduate degree in Cellular Biology from the University of Kansas and his Doctorate in Medical Dentistry from Tufts University School of Dental Medicine in Boston, Massachusetts. Dr. Pohl is skilled in all aspects of general and family dentistry. Through his professional memberships in the American Dental Association and the Ohio Dental Association, Dr. Pohl keeps abreast of the latest developments in the field of dentistry. He provides excellent care to all of his patients, with a calm and gentle approach. Dr. Pohl enjoys traveling, watching the Kansas Jayhawk and the Ohio State Buckeye athletics, and spending time with his wife Keturah, an Ohio native. We believe you should get to know your dental staff in order to feel more comfortable in our care. We aim to provide energetic and fun-loving service to each patient. We put your needs first to achieve efficient and comprehensive treatment. 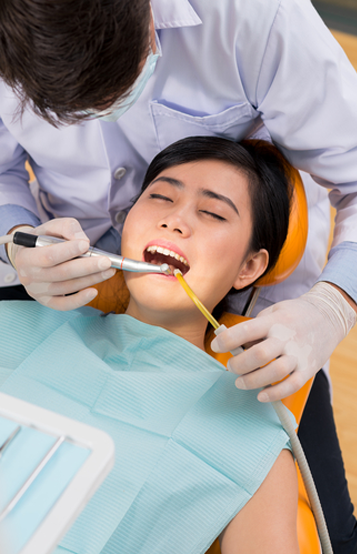 Our team is trained and skilled, and our treatment team consists of three registered dental hygienists, three assistants, and three business office personnel. Each member of our staff has several years of experience in treating patients with the highest level of care, and we strive to stay abreast of the very latest in technology and advances by regularly attending education courses and seminars. My son Jeremiah had never been to a dentist and was scared. The hygienists did a great job of explaining everything to him, and the front office made him laugh. Dr. Pohl works well with children and my whole family! I have had bad experiences before with the dentist. Dr. Brad Pohl was very gentle. He and his staff were caring through my whole procedure, and really cared about my treatment. The staff at Putnam Family Dental made me feel comfortable and welcome. Dr. Pohl was great. He explained all my treatment options and how much it would cost before any work was done. Dr. Pohl took the time to listen to my concerns and helped address them in a comprehensive plan that was easy to understand and implement. The team at Putnam Family Dental was thorough and efficient for me and my whole family. I felt very comfortable and welcome in their office. – Appointments can be made with our office by contacting us by phone. Our front office is happy to help you find a time that can work with your schedule. We make every effort to honor all time commitments and request that you extend the same courtesy to us. Your scheduled appointment time has been reserved specifically for you. We request a 24-hour notice if you need to cancel your appointment. We are aware that unforeseen events sometimes require missing an appointment. After missing your second appointment without notifying us 24 hours in advance, you are subject to being seen in the future on a same-day-only basis. We thank you for your cooperation. Can my whole family be seen in the office? Absolutely! Dr. Pohl & his team are equipped and experienced for patients of all ages and can accommodate most physical limitations. We are happy to work with your whole family to meet your dental needs. Putnam Family Dental has two locations to help serve you better, and is currently welcoming new patients to the practice. Please contact our office to schedule an appointment and answer any questions you may have. Our office is able to bill any dental insurance for you and we are in-network for the most insurances in Putnam County. Please check with out scheduling coordinator when making an appointment about our network insurances. We will fully attempt to help you receive full insurance benefits; however, you are personally responsible for your account, and we encourage you to contact us if your policy has not paid within 30 days. What are my options for financing? We will be happy to inform you of all treatment costs when diagnosed. A treatment plan will include a breakdown of all applicable fees as well as an estimate of how your insurance will assist you. In addition, a pre-authorization can be filed with your insurance company upon request. A portion of your charges may be due at the time of treatment. 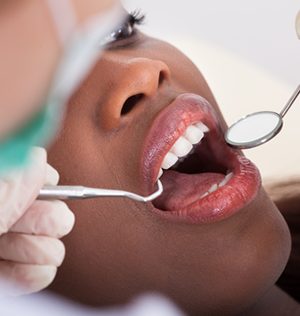 We understand that finances usually play a significant role in your dental procedure decisions. The office is able to accept cash, check, most credit cards, debit cards and Care Credit. Please ask a member of our staff, and we will review our payment options to accommodate your financial needs. Interest-free and payment-plan financing is available through Care Credit. For information on Care Credit, visit their website at www.carecredit.com or call 1-800-365-8295. My teeth are stained. What can I do? During your visit, our team can help you with education and suggestions for whitening your teeth. We also are able to make customized whitening trays for you. We utilize whitening products in the office that are not available in stores. Is the office involved in my community? Putnam Family Dental is proud to support numerous schools and community groups throughout all of Putnam County. We take our place with you in the community seriously and are happy to be involved. If you have a problem that needs immediate attention, please call during regular working hours if possible. We do our best to see emergency patients on a same-day basis. For less urgent questions or concerns, please call and speak with our front office. They are able to answer questions concerning your dental care and will work to determine how our office can best assist you.